Foliage Queen Storage Bed by Jamieson Import Services, Inc.
Bring the beauty of the outdoors into your bedroom with this stunning storage bed. 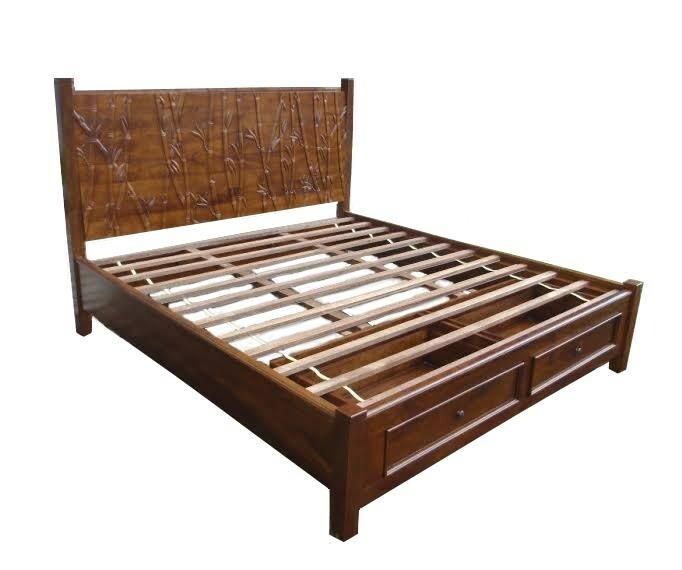 Crafted from sustainably harvested solid wood, the highlight of the bed is the wonderfully detailed bamboo carvings, which stretch across the headboard like vines on a fence. Two drawers in the footboard promise space-saving storage for a unique and practical bed. The Foliage Queen Storage Bed by Jamieson Import Services, Inc. at HomeWorld Furniture in the Hawaii, Oahu, Hilo, Kona, Maui area. Product availability may vary. Contact us for the most current availability on this product.